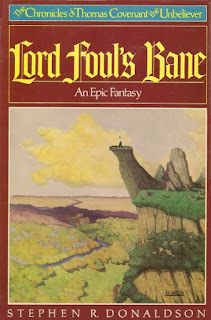 One of the great things about Game of Thrones and its success is the boom in popularity of the fantasy genre, which for long- time fans such as myself can only be a welcome thing. HBO took a big gamble when they started the series in 2011. Traditionally fantasy had been a niche market, and the commitment to the series (which is still as yet incomplete) would be a long haul. Yet it paid off, making it HBOs most successful series, turning its less known actors into stars (especially Emelia Clarke, Kit Harrington and Peter Dinklage) and being the show that everyone talks about. Having the advantage of being recently completed, this complex ten book series certainly ticks the mature and epic boxes. It has an avalanche of characters, many occupying the gritty middle ground between good and evil, and intricate storylines that don’t insult the readers intelligence. Although the first book was originally developed as a film script, the books would be definitely better as a series. 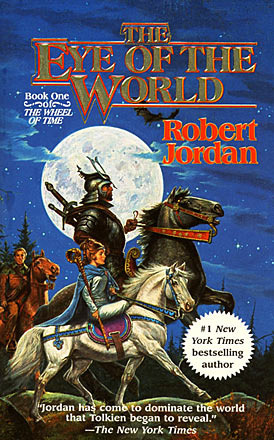 Compared to Game of Thrones it definitely has a more epic fantasy bent, with non-human races, undead warriors, and the best magic system in fantasy (in my opinion). I know this one has been on and off the cards for years for a film version. The original trilogy was a best seller and tells the story of unlikeable leper, Thomas Covenant, and his trips to the Land. His visits, felt initially to complex dreams/hallucinations, are displaced in time—namely time moves at different rates between Earth and the Land. This would create some interesting casting challenges—but the attraction of complex and often unlikeable main characters in the series may be too much to resist. And one of the more iconic bad guys of recent fantasy literature too. 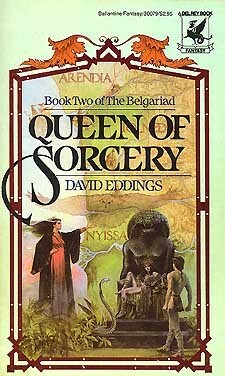 Only three books in, but this series has really caught the imagination of fantasy readers. Its style is almost Martin Scorsese does epic fantasy—it’s a tale of gangs, thieves and con men, with suitably colourful language and characters. The lead characters Locke and Jean are charismatic rogues, and the action brutal and gory. Lynch palns for seven books in the series so there’d be plenty to go at, although I suspect to make a series they’d need to buff out minor plotlines to make a larger cast of protagonists. The epic fifteen book series, which has been on my to-read list for… well… forever, is an obvious successor to Game of Thrones. 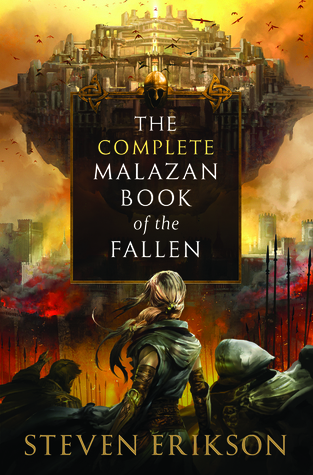 It’s complete—although it took Sanderson to finish it after Jordan’s sad demise—and has a vast wealth of material and characters to draw upon. 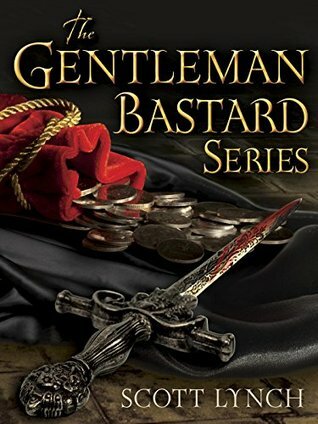 Its tone isn’t as ‘adult’ as Game of Thrones or Malazan, although as I understand there is a fair bit of violence and death, and some (no-explicit) sexual content. A pilot was broadcast earlier this year in rather bizarre circumstances (apparently Jordan’s widow didn’t even know about it), and so it’s possible that may be optioned/ re-done or that Universal may go on to do something with it (they have been involved with proposals of developing it before). It was a tricky call for number five. It was between Belgariad, Moorcock’s Elric, and Abercrombie’s The First Law. Although the lightest of the three choices, I could see it working in a lot of ways. 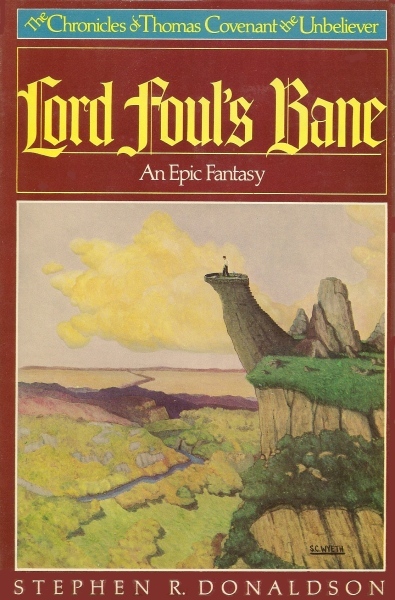 It’s a fairly linear plot, with a strong basis in traditional heroic fantasy, with an excellent set of characters and a nice coming of age style. The dialogue is one of the best in fantasy books I’ve read, with a great line in banter, and the iconic villain –Torak. For a series it may need some degree of maturation and modernisation (as did LotR) and buffing of sub-plots so as to avoid following Garion around like a puppy for five books. So, do you agree with my choices? Am I biaised by the fantasy books that I have come to love rather than thinking commercially or artistically. Who would you throw into the list? Anne McCaffrey, Ursula LeGuin, Brandon Sanderson, Patrick Rothfuss? And if we expand it out to the borders between SF and Fantasy? I’d love to see the Amber chronicles by Zelazney done properly. One things for certain, with CGI and bigger and bigger budgets, this is a great time to be a fantasy fan. 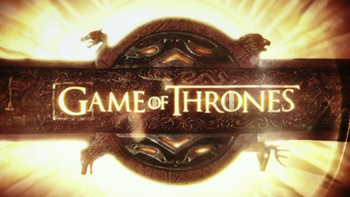 Title screenshot from Game of Thrones is used under the Fair Use clause, copyright owner is Home Box Office Inc./BCKORS, LLC./GROK!, LLC./Generator Entertainment/Suction Productions, Inc. Either C.J. Cherryh's Arafel (2 books) or her Morgaine Cycles (4 books) could make compelling television or movies. Ursula K. LeGuin's Earthsea has been done. There was Earthsea and Tales from Earthsea. Ha! I was going to lament about the lack of a series for Shannara, but it looks like a series is coming. The Shannara Chronicles premiers Jan 16th. A couple others I'd like to see: Icewind Dale, and Riftwar have all not been done. Of course, the company who owns the IP rights to Icewind Dale allowed the travesty of the Dragonlance movie, so it probably is for the best not to have anything.